With inherited wealth, the Irish Post-Impressionist Roderic O’Conor had little incentive to sell his art, and nearly 1,000 works remained hidden in his studio on his death in 1940. These were auctioned 15 years later by his widow and dispersed. Except for a 1985 retrospective, O’Conor has received little attention. Jonathan Benington, the curator of Roderic O’Conor and the Moderns: Between Paris and Pont-Aven at the National Gallery of Ireland, hopes to change that and has set out to emphasise O’Conor’s links with the Post-Impressionists by showing him beside his contemporaries, such as Vincent van Gogh, Paul Gauguin and the Swiss artist Cuno Amiet. Benington argues that O’Conor saw hundreds of Van Gogh’s paintings in the apartment of his brother Theo, two months after the artist’s death in 1890. O’Conor had been invited along with his American friend, the artist and collector Edward Brooks. 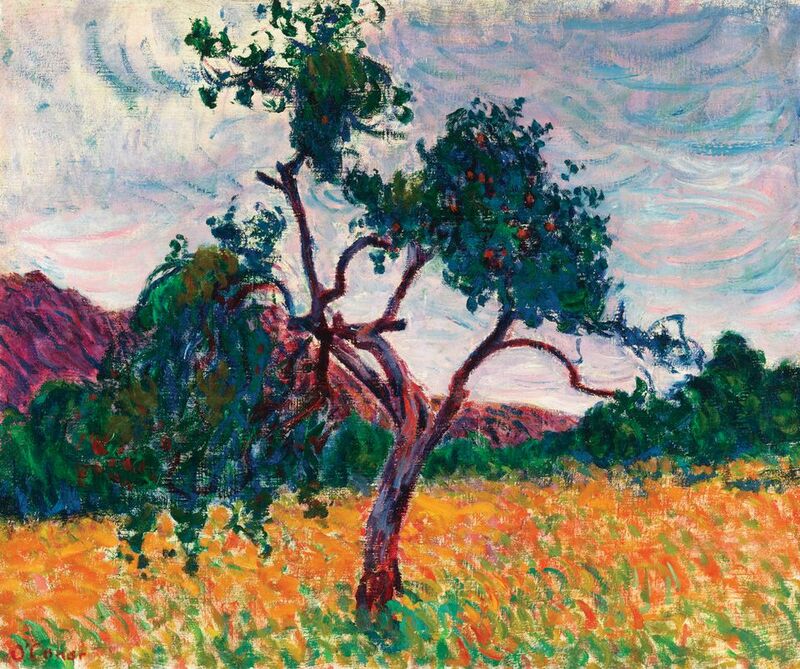 Van Gogh’s influence can be discerned in A Tree in a Field (around 1894), with its bold, rhythmic brushstrokes done with stripes of pure colour, echoing the style of the Dutchman’s Provençal pictures. O’Conor was dubbed a “stripist” by the Australian-born artist Mortimer Menpes. Although O’Conor just missed meeting Van Gogh, he and Gauguin became friends in 1894. O’Conor, Gauguin, two other artists, assorted girlfriends and a pet monkey got into a brawl with sailors in the Breton fishing port of Concarneau that spring. Gauguin was thrown to the ground, breaking his ankle, and O’Conor later invited him to share his studio in the village of Pont-Aven. Gauguin even suggested that he accompany him to the South Seas. O’Conor never took up Gauguin’s offer and missed the experience of working in Tahiti. Instead he continued to live in France, but his later work lacked the dynamism of his avant-garde pictures of the 1890s—which explains the emphasis of the Dublin show.